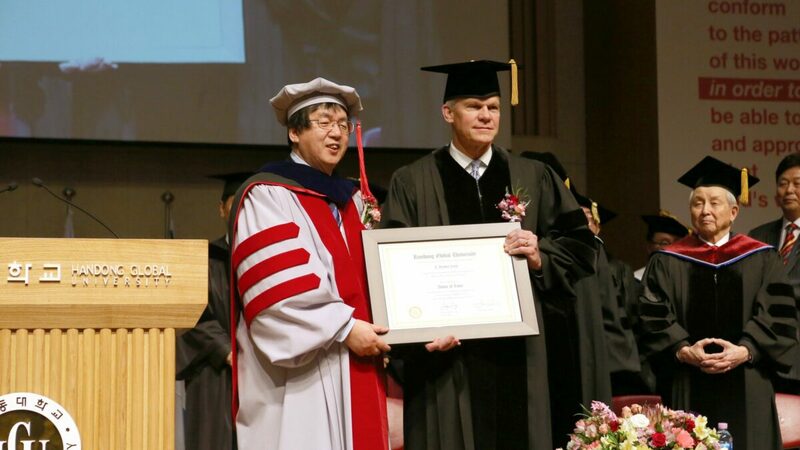 POHANG, SOUTH KOREA — With the world’s eyes on the Winter Olympics in nearby PyeongChang, Campbell President J. Bradley Creed was a guest of honor at Handong Global University in Pohang, South Korea, on Monday, where he received an honorary doctorate degree for his work in higher education and as a religious historian. Creed was honored alongside Billy (Jang-hwan) Kim, a longtime friend of the Creed family and Campbell University and former president (2000-2005) of the Baptist World Alliance. 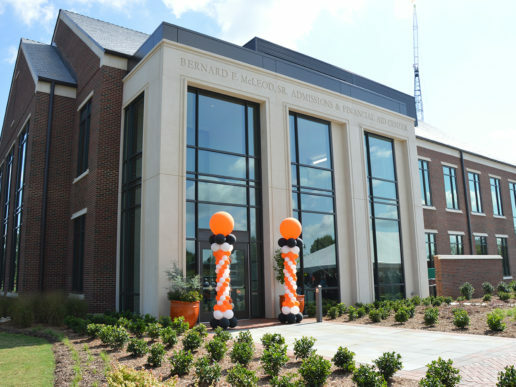 Kim was awarded an honorary degree from Campbell in 1986, and today has an endowed scholarship in his name at Campbell. 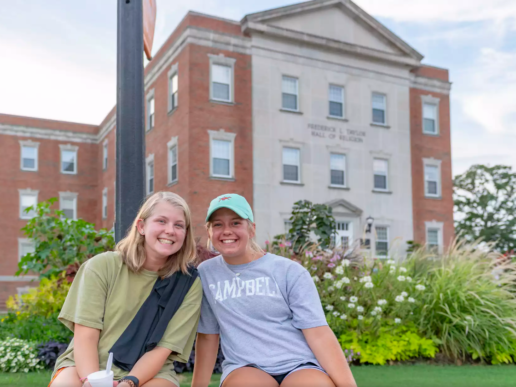 Campbell’s relationship with Handong goes back to 2002, when Kim helped establish the Handong International Law School with Campbell’s help (several Campbell professors have taught at the school, and Campbell Professor Lynn Buzzard served as the school’s founding dean). Unique to Southeast Asia, Handong’s law classes are taught in English, and its students are trained to take bar exams in the United States. 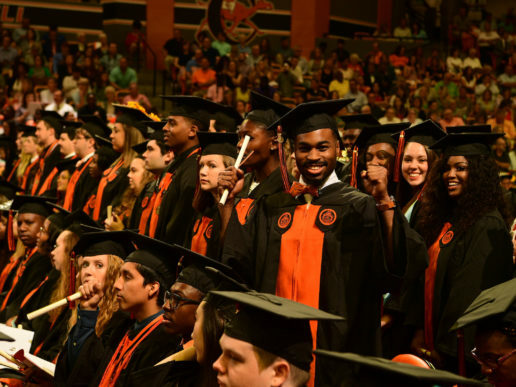 Echoing recent speeches to students at Campbell, Creed told Handong graduates to “change the world” in their careers. Since 2002, Handong International Law School has produced 369 U.S. lawyers in seven states.